A prefabricated fence that has 9 horizontal strands (8 conductive), is 35" tall installed and has large white plastic vertical struts every 12". White PVC posts are built into the mesh every 12.5 ft. 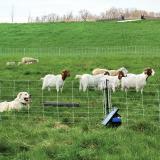 The result, when properly energized, is a nearly impenetrable mesh to sheep, goats, coyotes and dogs. 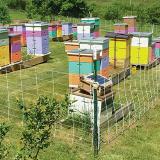 Also used to protect beehives from livestock and bears. Contrasting white/black color provides 24/7 visibility to both humans and animals against all backgrounds. Its very low electrical resistance (38 ohms per 1000') is important for fences that are either long or will experience high weed contact. 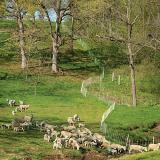 Because it’s so easy to install and remove, many move ElectroNet weekly—fencing the flock or herd instead of an entire pasture. Even for new users, it takes less than 10 minutes to go from out-of-the-box netting to installed fence. Available with positive/negative (Pos/Neg) capability for high resistance fencing conditions. 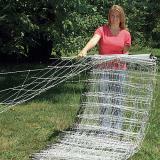 Quick Ground is a special use netting developed by Premier. Metal filaments in the bottom horizontal strand serve as the ground rod to complete the electrical circuit. It’s designed for those that move netting very frequently. There is a risk with this design; if vegetation touches both the bottom strand and the first positive strand (only 3" away) an electrical short is likely. We recommend using a larger (in output) energizer. 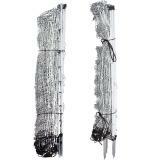 Number of reviews: 120 customers reviewed this product. Recommended: 114 out of 120 said they would recommend this product to a friend. 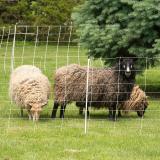 Excellent temporary electric fencing! 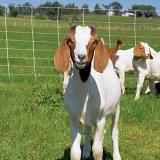 Once my goats were conditioned to the electric I can shut the energizer off and the fencing still works great. We strongly recommend that net fences are always electrified. Why? Non-electrified netting increases risk of entanglement and death. Non-electrified netting will not stop predators. 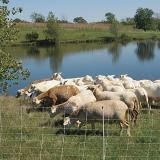 Livestock, rodents and poultry may chew on and damage non-electrified netting. 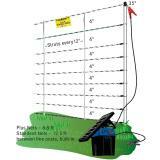 Works great for what I need it to do, I use this for my chickens and too keep predators out of my field. So far no losses and I am happy with that. Customer service is great with any issue with by email or telephone. No robot answering service or out of country communication setbacks!! Great product awaiting 2 more! Very happy with fence and service! 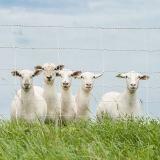 I've used electric net fencing for over 15 years to contain sheep and goats under some pretty challenging conditions. I've tried several brands from a couple of manufacturers and have found the ElectroNet sold by Premier1 to be the best value by far. It keeps the stock in and losses to coyotes on are pretty much non-existent if you also use guardian animals and have an energizer with enough power. Great support from Premier1 and you can't beat the free shipping.